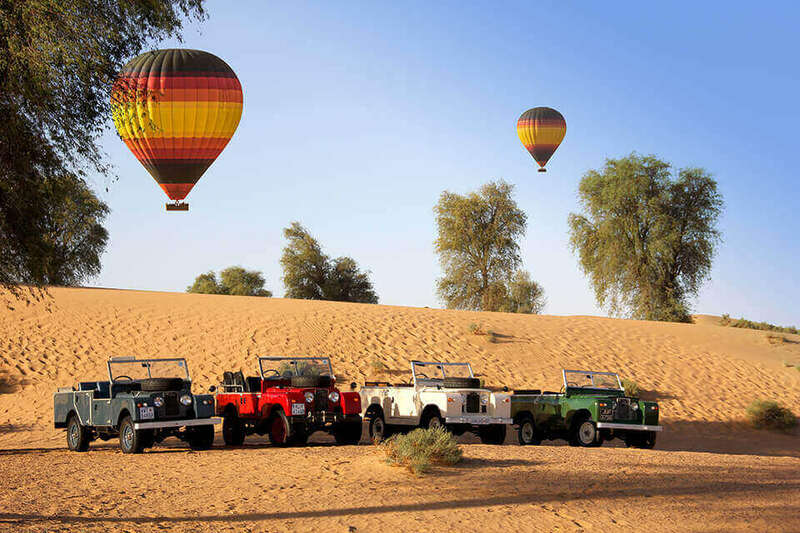 Start your overnight experience with a pickup from your Dubai hotel, and then travel into the desert aboard your open-roof vintage Land Rover, a mode of transport used extensively in 1950’s desert expeditions. 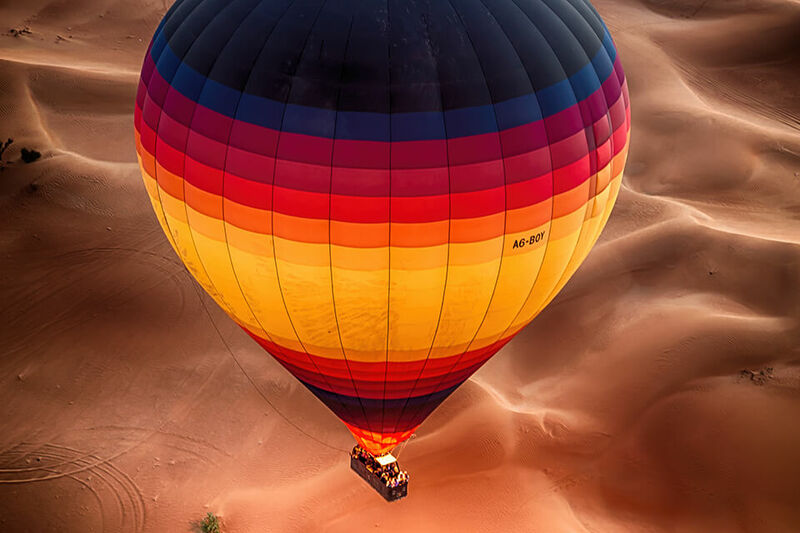 As you travel, listen to your guide’s stories about Dubai past and present, as well as the many customs and traditions that you’ll experience throughout the evening. 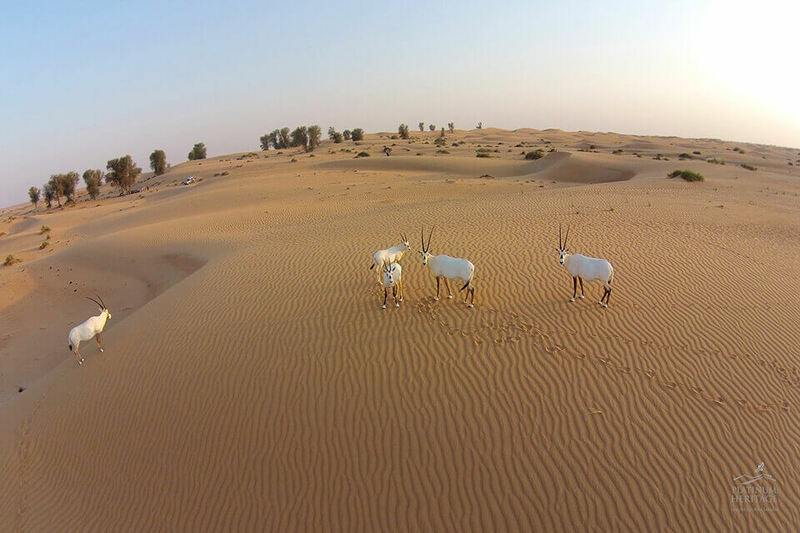 Head through Dubai Desert Conservation Reserve on an African-style wildlife safari, looking out for Arabian gazelles and Oryx, and then stop in a Bedouin-inspired camp in the grounds of a private royal retreat. 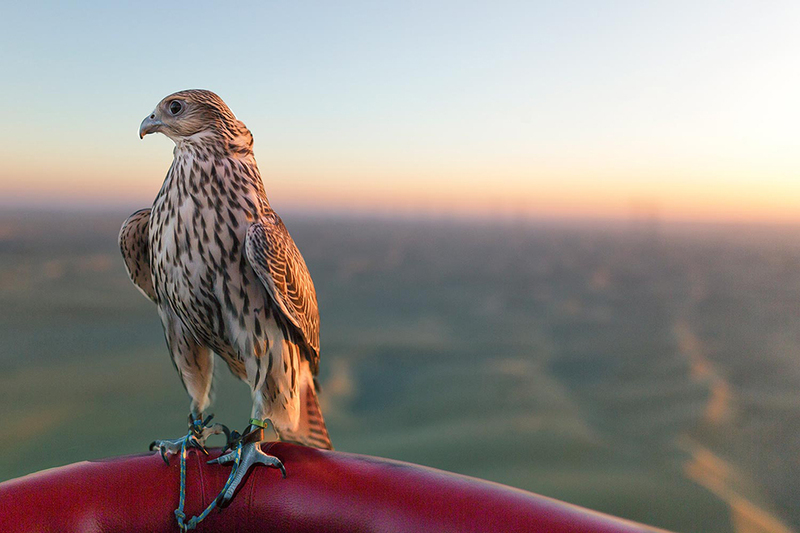 Pose in the sand dunes for a photo as the sun goes down, gaze at the UAE’s national bird – the falcon – during a falconry display. Make your way past the gently flickering flames from the lights that mark the entrance way, and then hop out of your Land Rover to take a seat at your shared table. Before your meal starts, a range of cultural activities are demonstrated. 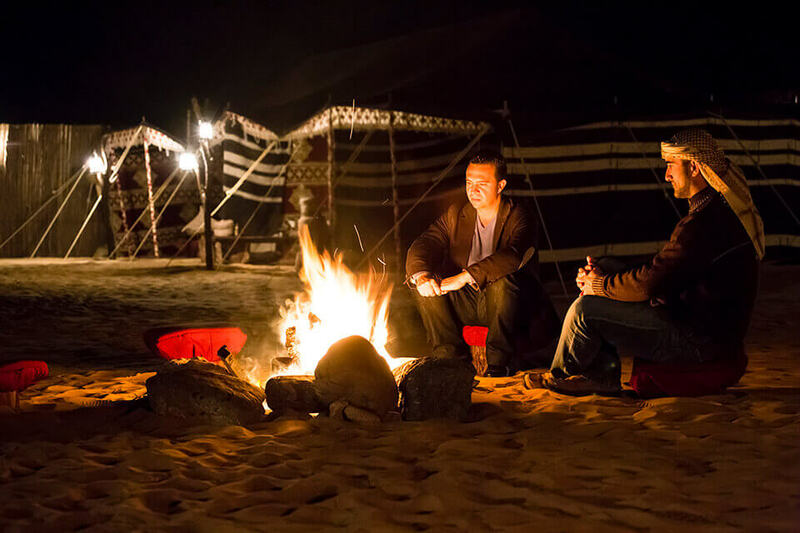 Enjoy an Arabic coffee and sit back to watch dancers performing to traditional Emirati music, or perhaps get a henna tattoo, smoke a shisha pipe (Arabic water pipe) or even try the traditional mode of Bedouin transport — a camel. 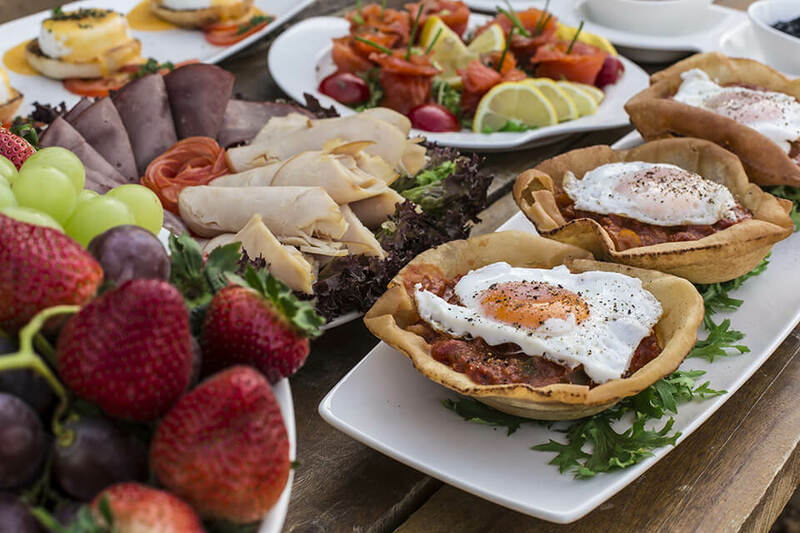 Then, all that’s left to do is to feast on your 4-course dinner under the stars. 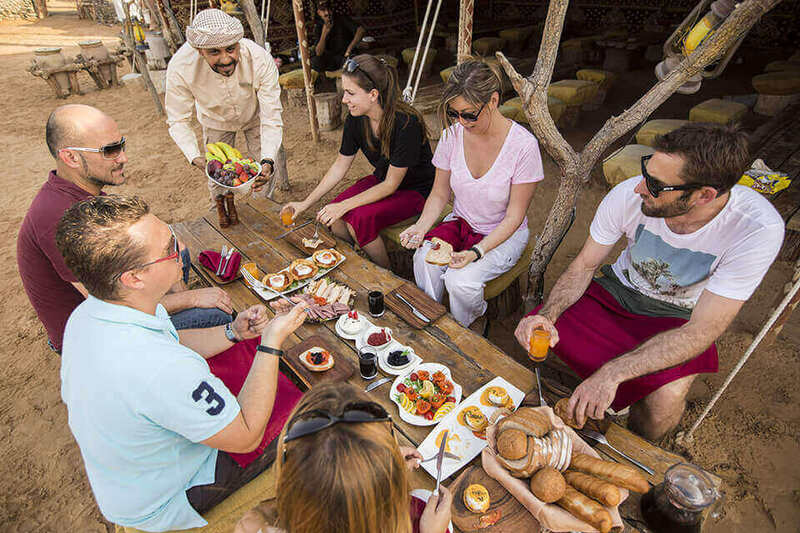 Like the activities at the camp, the dishes are mostly traditional Emirati specialties, combining flavors from the Middle East. After your meal, sit around the bonfire and gaze up at the stars, and then make your way to your Arabic tent — complete with comfortable mattress, pillows and blanket — nestled inside the camp. 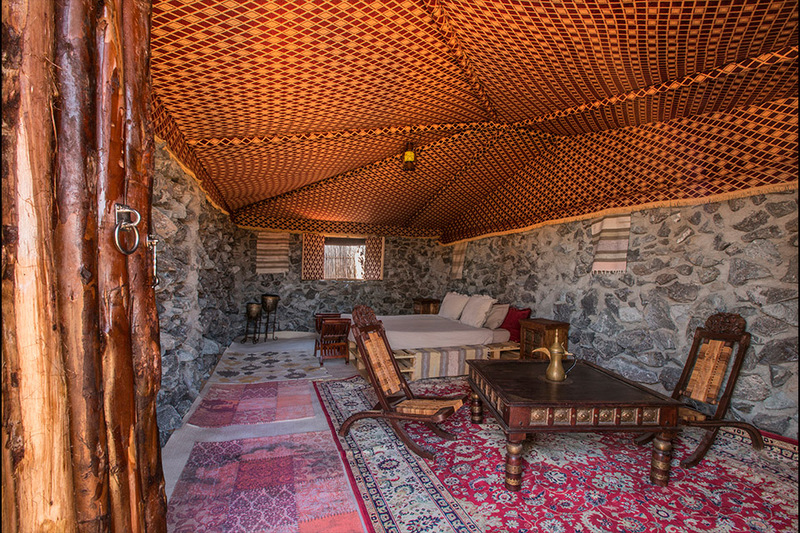 Settle in and enjoy sleeping overnight in the heart of the desert! 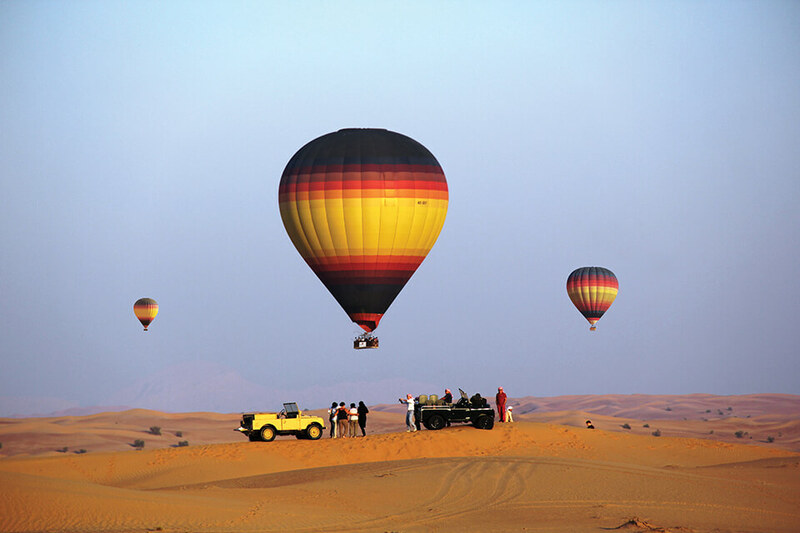 As you are only minutes from the Hot Air Balloon take off site you can wake up later than passengers coming from Dubai. 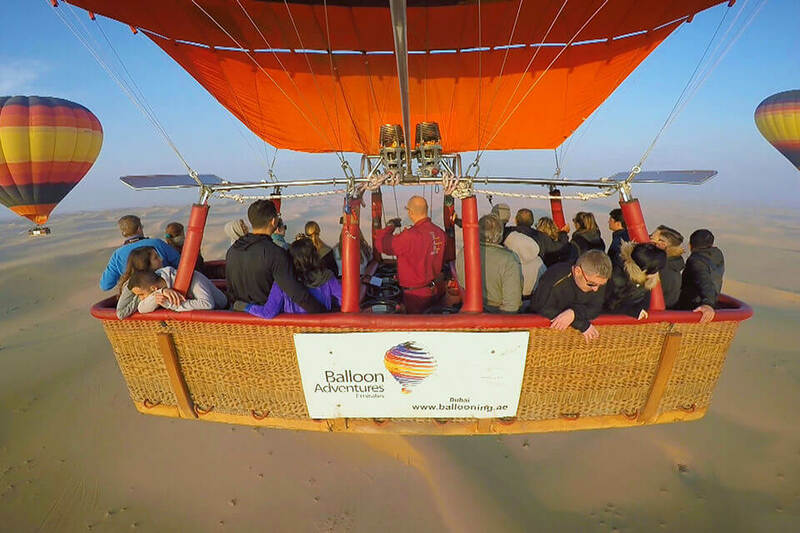 Once you arrive you will receive a safety briefing before climbing inside the balloon basket with the world’s most experienced Hot Air Balloon Company, Balloon Adventures Dubai. 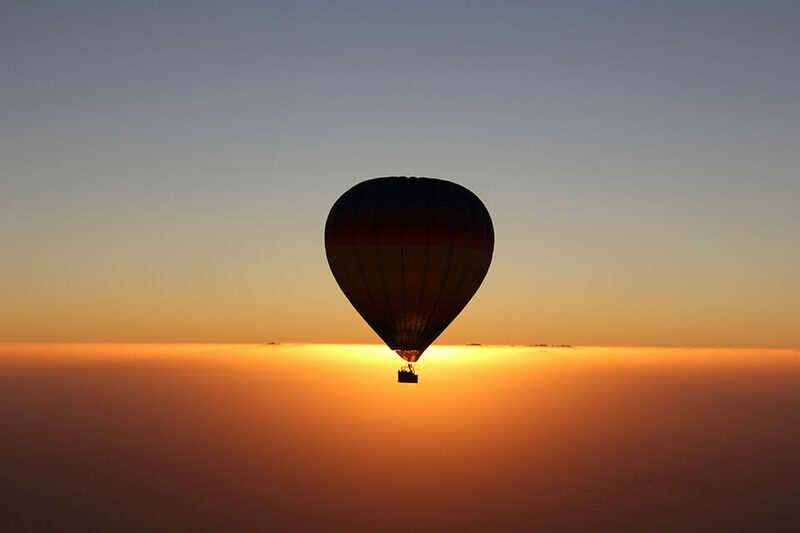 Feel your adrenaline race as your balloon drifts gently upward. 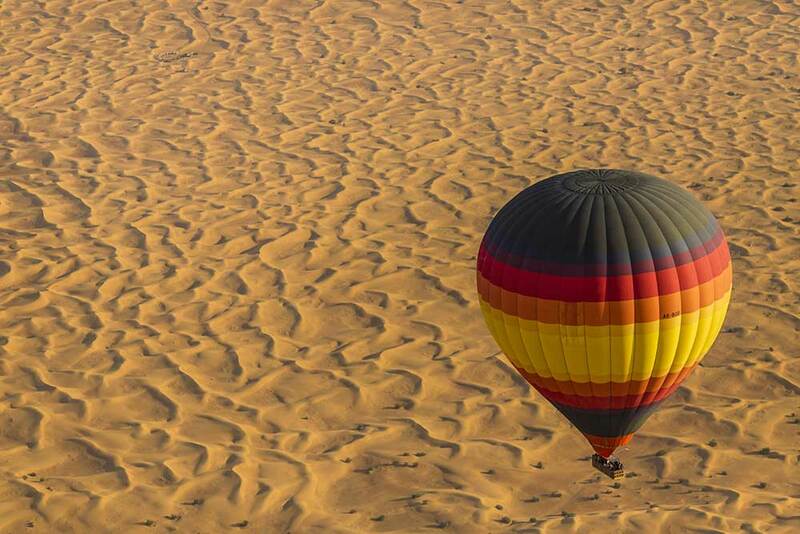 Each basket holds up to 23 passengers and there’s plenty of space for you to sightsee as you fly. 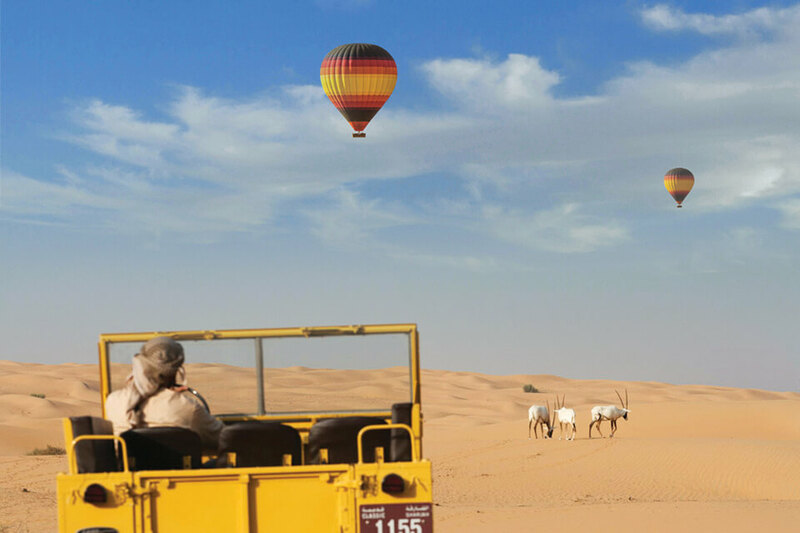 As you rise higher, marvel at the awesome sunrise views and hear interesting commentary from your pilot about the geology and wildlife of the protected Dubai Desert Conservation Reservation while you watch for roaming animals such as gazelle and camels. 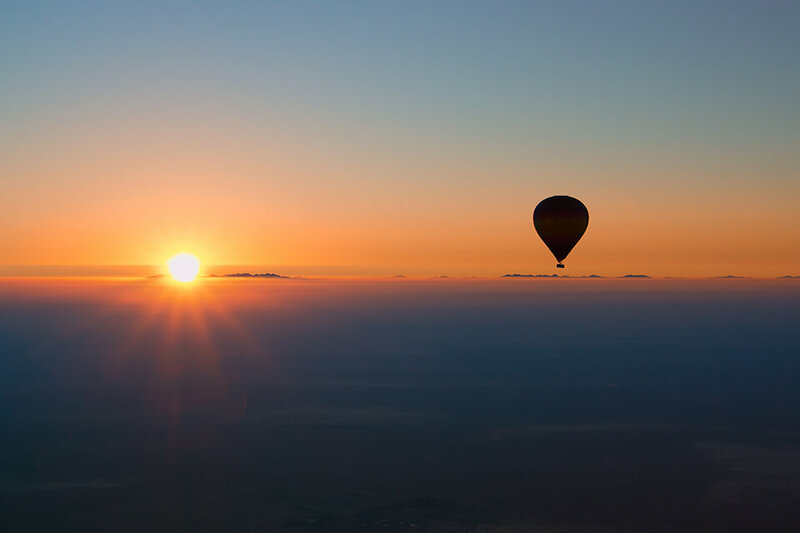 After your approximately 1-hour flight, enjoy a smooth touchdown controlled by your pilot and step back on to solid ground. 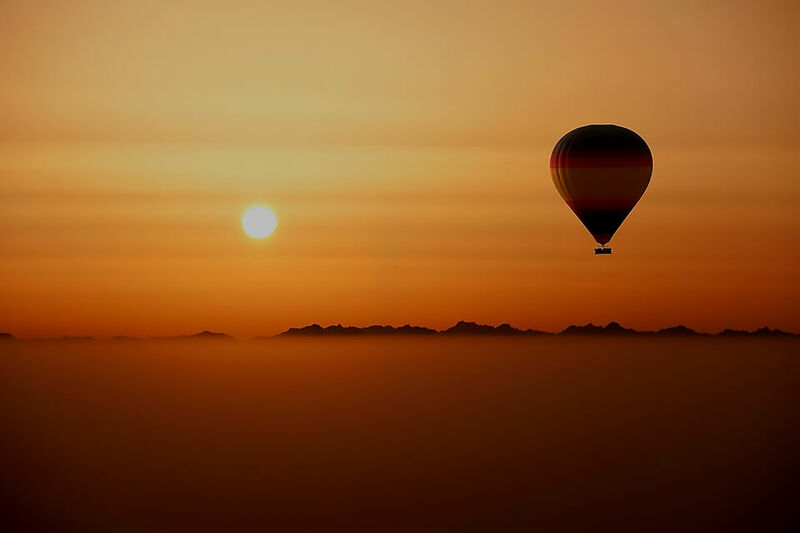 If you wish, buy a professional video of your flight (own expense) so you can relive the experience at home. 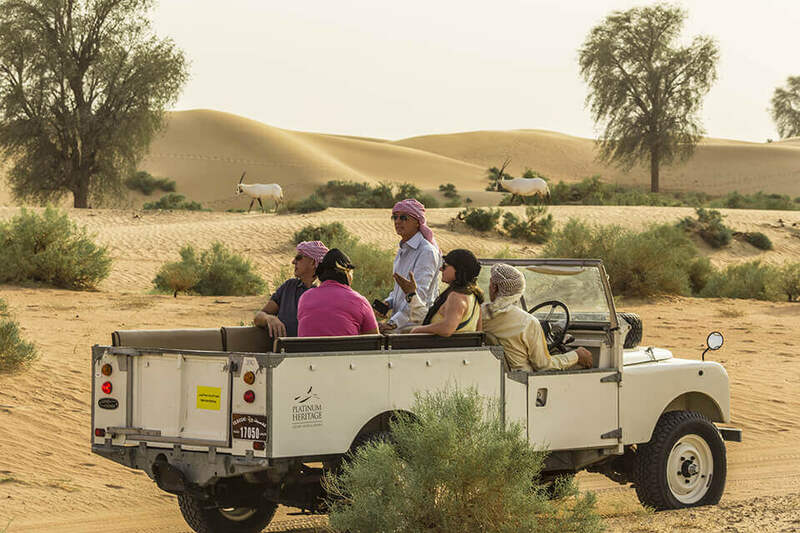 You will be driven to a private desert conservation reserve where you will have the chance to freshen up at clean, private bathrooms. 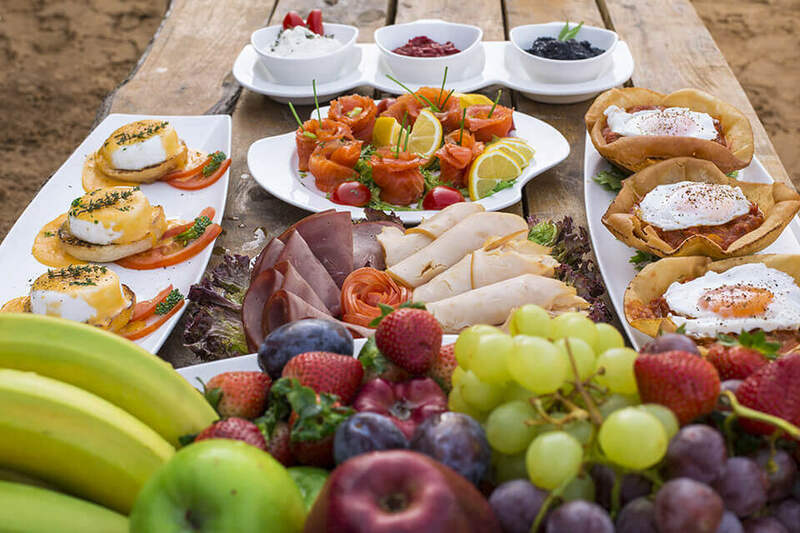 Breakfast will be a scrumptious selection of delicacies such as hand-cut smoked salmon and caviar. 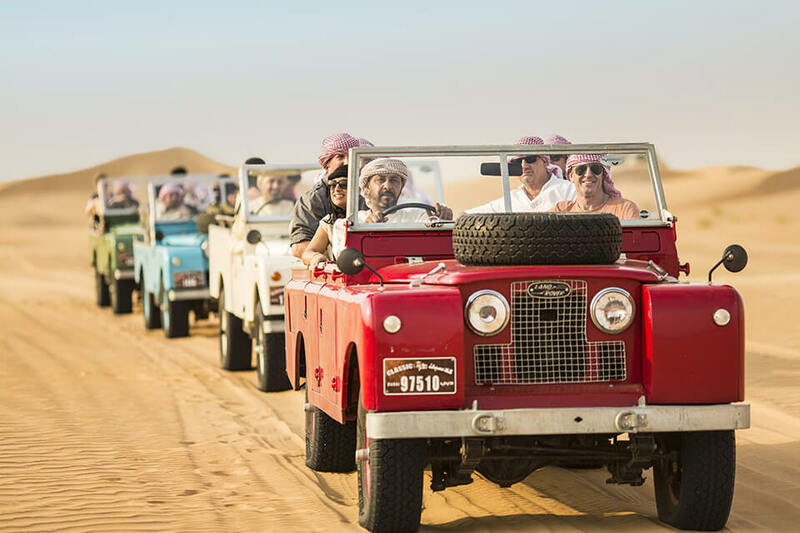 It is the perfect way to experience Dubai! Children under 5 years old are not suitable for this tour. Wear comfortable loose clothing. In the winter months, it is advisable to carry a light jacket or cardigan. 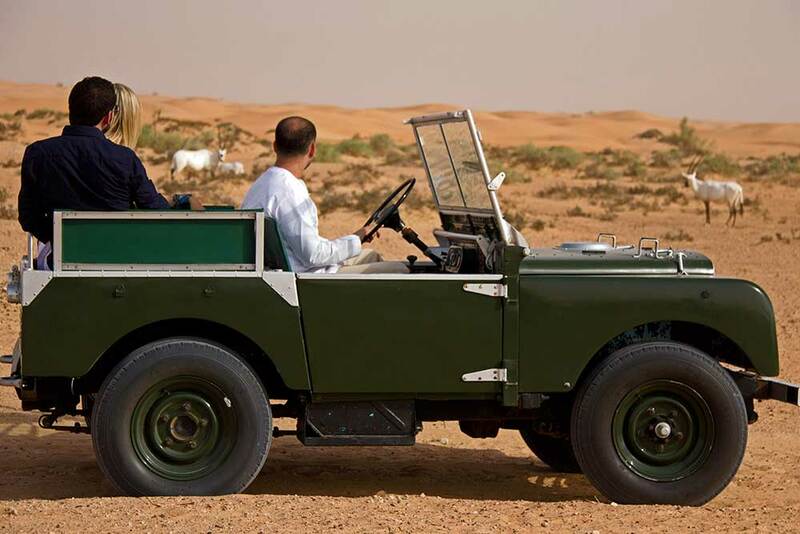 Wildlife drive through the Dubai Desert Conservation Reserve in a legendary 1950’s Land Rover. 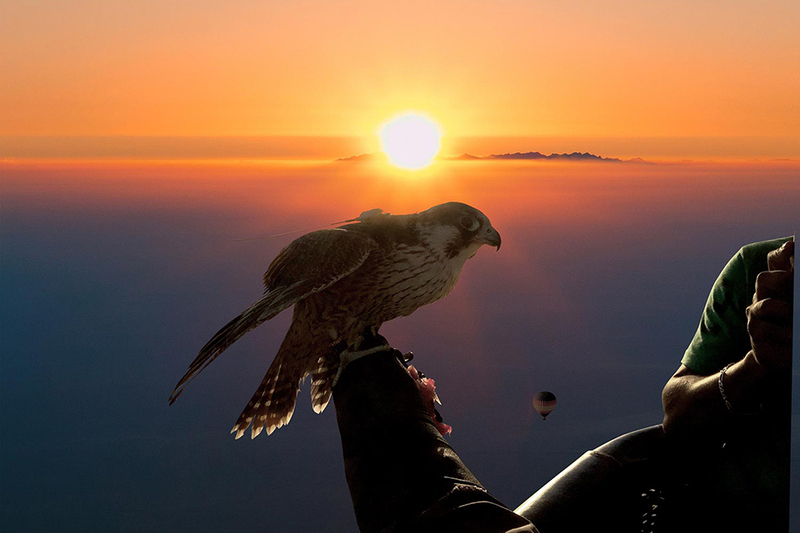 Sunset falcon show with sparkling date juice.